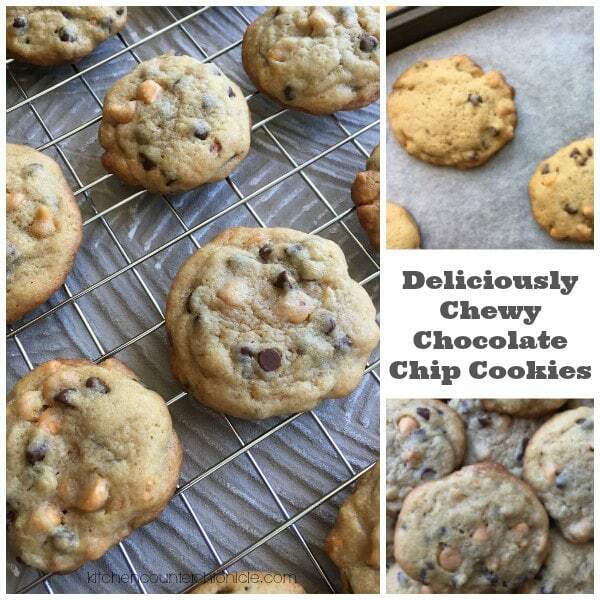 Chewy chocolate chip cookies should be – chewy. This seems totally obvious…right? The problem is, not everyone’s definition of “chewy” is the same. In an electric mixer cream together cream together butter, brown sugar and granulated sugar. Mix in one egg at a time, followed by vanilla extract. Stir flour mixture into butter mixture, until combined. Stir in chocolate and butterscotch chips. Once cookie batter is combined place in fridge to cool for at least 30 minutes. 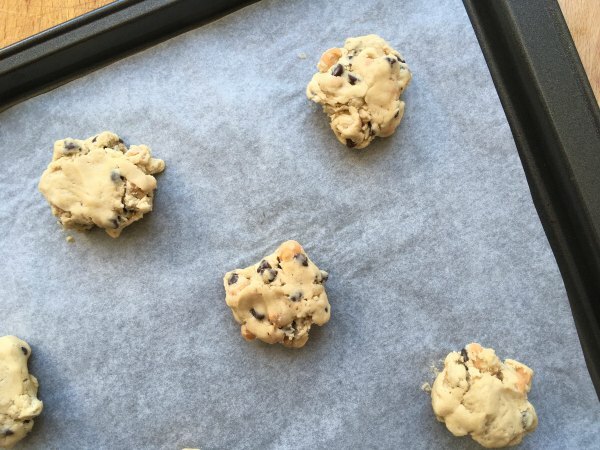 Drop a heaping teaspoon of cookie batter onto a parchment paper lined baking sheet. 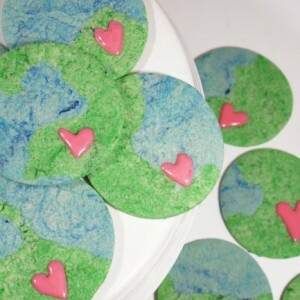 Cookies will spread, so place 2″ apart. 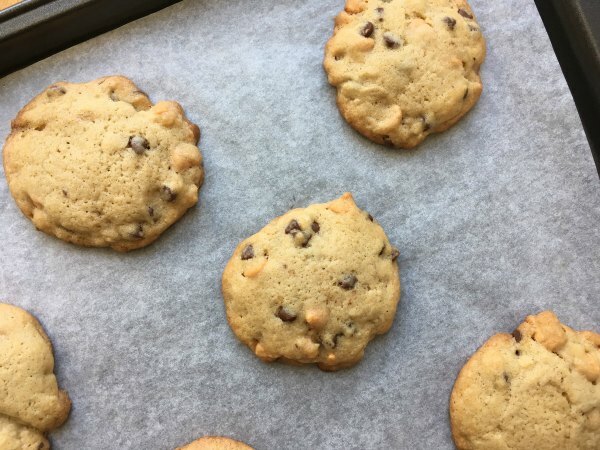 Bake for 10-12 minutes in a 350°F oven, until edges of cookies are lightly golden. 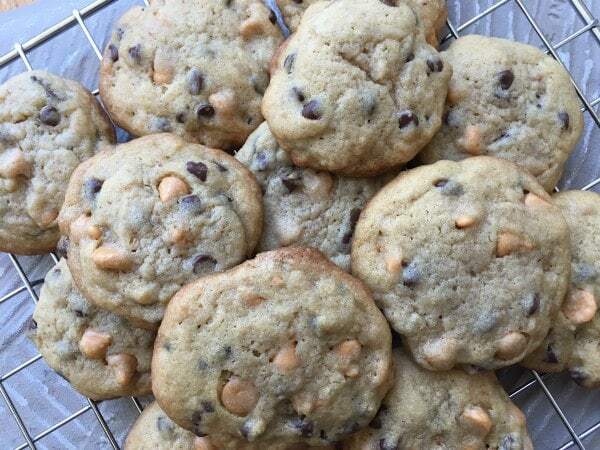 Don’t over bake…or your cookies won’t be chewy. Remove from oven and let cool on rack. Once cooled enjoy! So, what’s the secret? 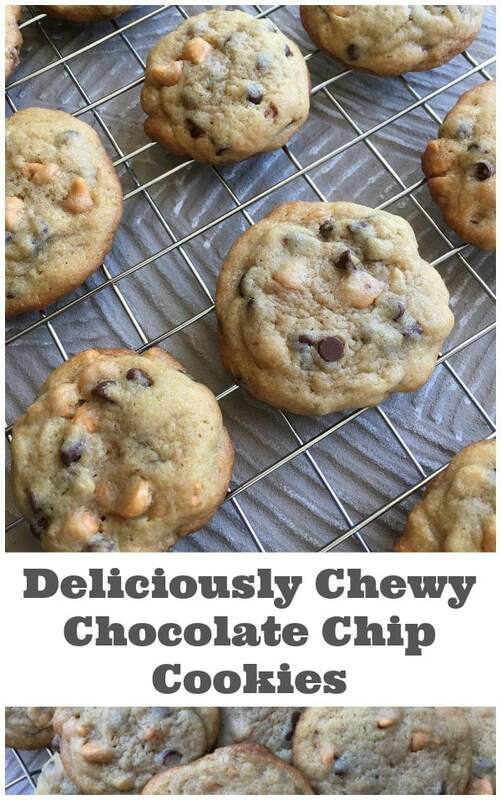 Why are they chocolate chip cookies chewy? Well, I believe it comes down to sugar and timing. These cookies have more brown sugar than my usual crispier chocolate chip cookies. Remember that brown sugar is basically a combination of granulated sugar and molasses…producing a more chewy texture. Also, making certain that the cookies are removed from the oven when they are just right is important too. Over baked cookies will always be harder and more brittle. 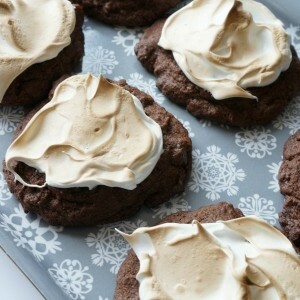 No matter what the reason, these cookies are deliciously chewy and chocolatey.